Providing the academic support, healthy meals, and loving care to help our community's children succeed in school. Since 1994, Vera Court Neighborhood Center’s mission has been to support its community in addressing the needs identified by its residents. Through the support and guidance of community members, local businesses and nonprofits, and the school district and Madison colleges, the center has grown to touch the lives of more than 5000 Northside residents a year. "Vera Court Neighborhood Center has changed my life by helping me learn how to write, and showing me how to read." Read more stories about the lives that have changed at Vera Court Neighborhood Center in our annual report. We are committed to providing the academic support, healthy meals, and loving care to help our community's children succeed in school. The support we provide is comprehensive. Students learn about locally grown food and prepare their own salad snack! 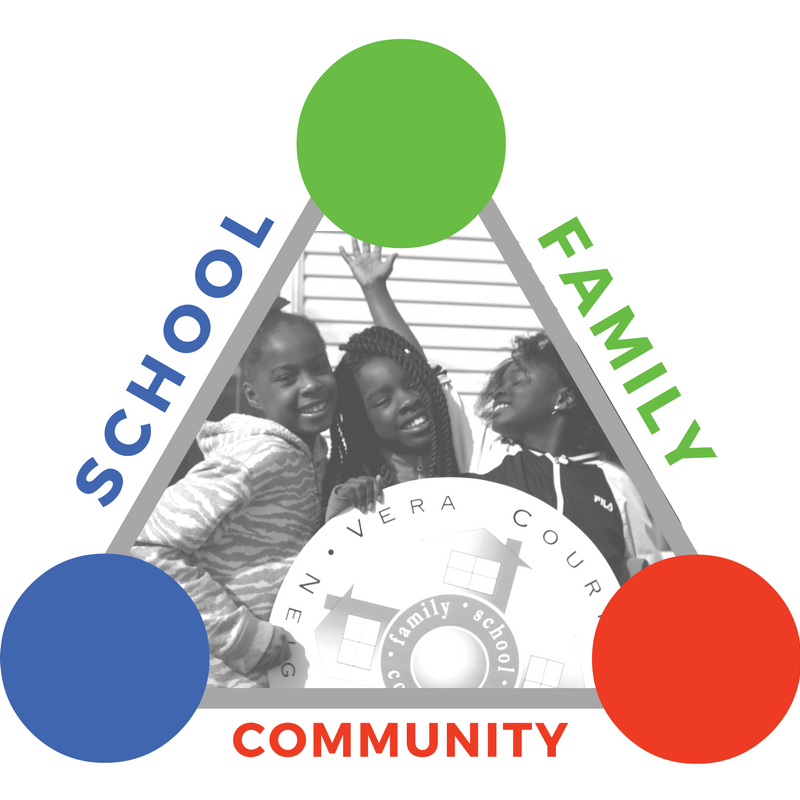 For more than two decades, we have worked in tangent with our Vera Court families and Northside schools to develop programming that reflects the changing needs and celebrates the strengths and diversity of our community. Vera Court Neighborhood Center is one of three organizations within the umbrella agency Vera Court Neighborhood Center, Inc. The agency as a whole aims to strengthen our community and improve lives by providing quality programming in the areas of education, employment, and well being. You can learn more about the other two organizations, Bridge Lake Point Waunona Neighborhood Center and the Latino Academy of Workforce Development in our agency’s Annual Report. Vera Court Neighborhood Center, Inc. is an independent 501(c)(3) nonprofit organization. Special thanks to Alisa Buckingham for the photos featured on this site.